For application in acetabulum reaming during joint surgery. With the perfect shape of ergonomic design,whole unit is autoclavable,motor is imported,low noise,high torque, long service life. The machine is warranty for 2 years. Different interface can be customized according to different factory’s shaft and reamer, tool connecting is very convenient and quick,higher stability . 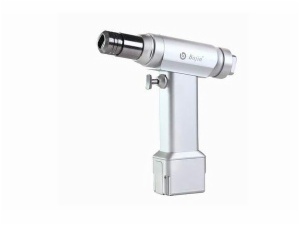 The handpiece guarantees for 2 years, the battery and other fast consumption items guarantee for 3 months. 1.Our whole power tool can be autoclavable. 2.We can autoclavable for 135 °C (Improved type ≤ 155 °C ),with 1.6Mpa,in this way the bacilli and virus which can not killed by the suffocating will be killed. 3.We use environment friendly nickel-metal hydride battery. 4.The machine has very low noise. 5.Our products has 2 years warranty period. 1.Sterilize temperature ≤ 135 °C (Improved type ≤ 155 °C ),if the temperature is over 135 ° C ,the motor will be damaged. 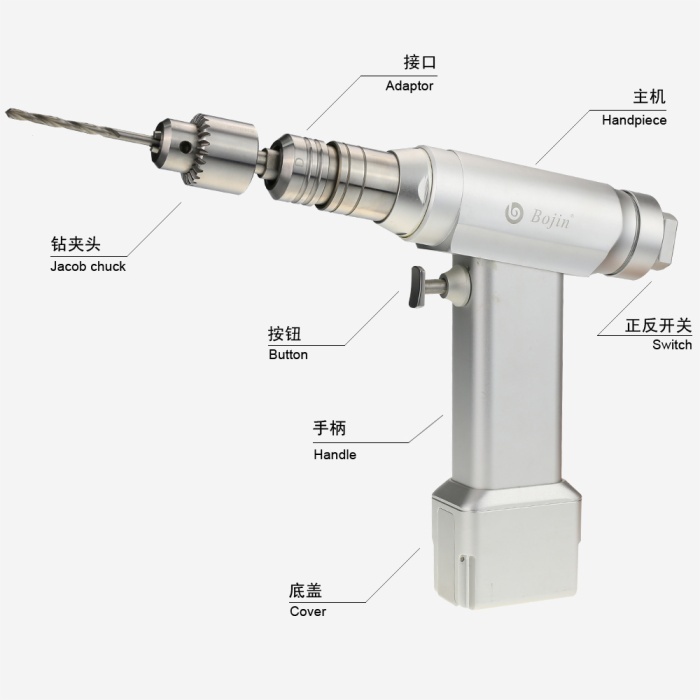 2.Normal bone drill can only hold drill bits less than 6mm,acetabulum reaming drill with big torque,rpm is around 300,canulate drill is used with nail or K wire ,rpm is around 600. 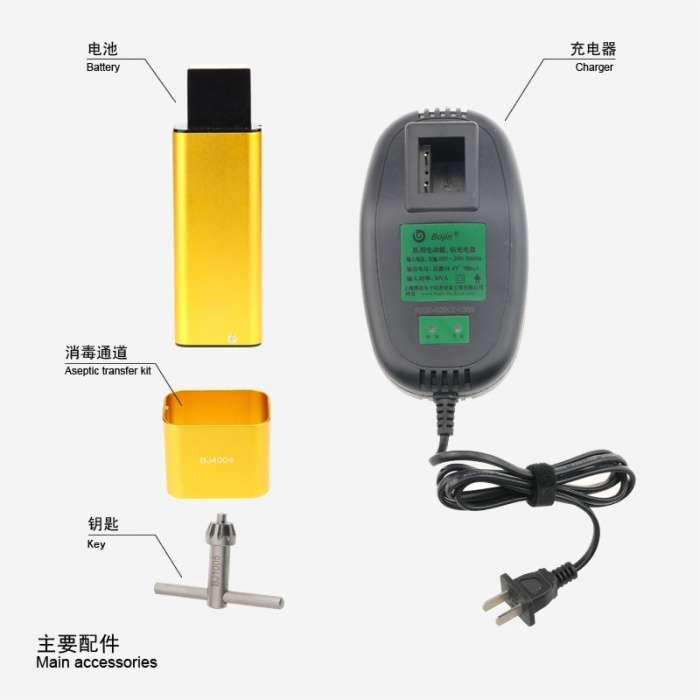 3.The battery need to be get out of the pwer tool after surgery.Otherwise the small automatic discharge of the electric will make the life of the battery short. 5.The cranial bur must be washed right after the surgery by purger in order to aviod the blood stick in the bur,then we should make it dry. 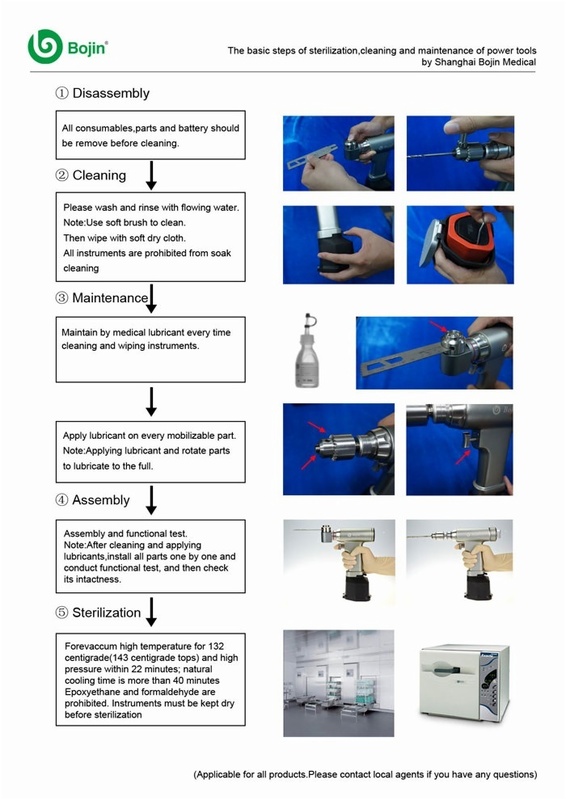 6.The battery space in the handpiece of the tool should not have any water,after sterilization. 7.The cranial bur blade is made of medical stainless steel,in order to avoid broken,so it is flexible and not very hard,it is easy to be attrite,we suggest each blade only use for 1 surgery.